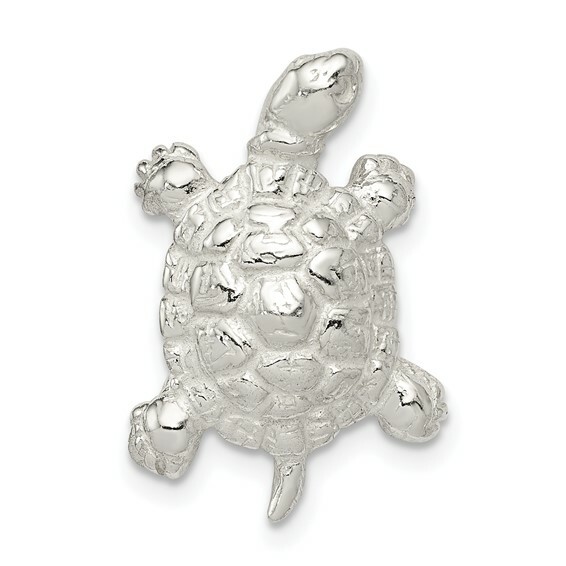 Sterling silver turtle charm features a hidden bail and open back. Item measures 7/8 inch tall by 9/16 inch wide without bail. Fits up to a 4mm wide chain. Weight: 2.5 grams. Made in USA.